The Trump administration is greenlighting a nearly $600 million sale of high-tech attack planes to Nigeria, officials said Thursday. The goal is to shore up the West African nation’s ability to fight Boko Haram and other extremists. 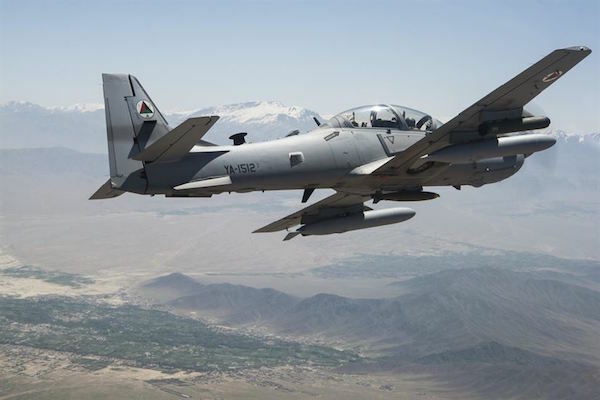 The sale will let Nigeria buy up to 12 Embraer A-29 Super Tucano aircraft from Colorado-based Sierra Nevada Corp., according to officials who were briefed on the matter but spoke on condition of anonymity because they were not authorized to discuss it publicly. The aircraft come with sophisticated targeting equipment that the U.S says will help Nigeria fight terrorism, trafficking, insurgency and illicit trade. A few weeks later, newly inaugurated President Donald Trump told Nigerian President Muhammadu Buhari that he supported the sale. Trump told the Nigerian leader in their first phone call that it would increase American exports and help Nigeria fight terrorists, according to officials.